I bought the Lum Chinese folder over 2 years ago, and you’d be hard pressed to find a another folder that is as functional as it is beautiful. Together with the Li’l Temperance, this knife is the only production knife that feels like an actual custom. Although it has fallen from production, I am sure it will become quite a sought after piece in years to come. I was looking for a pure no-compromise utility folder for EDC. 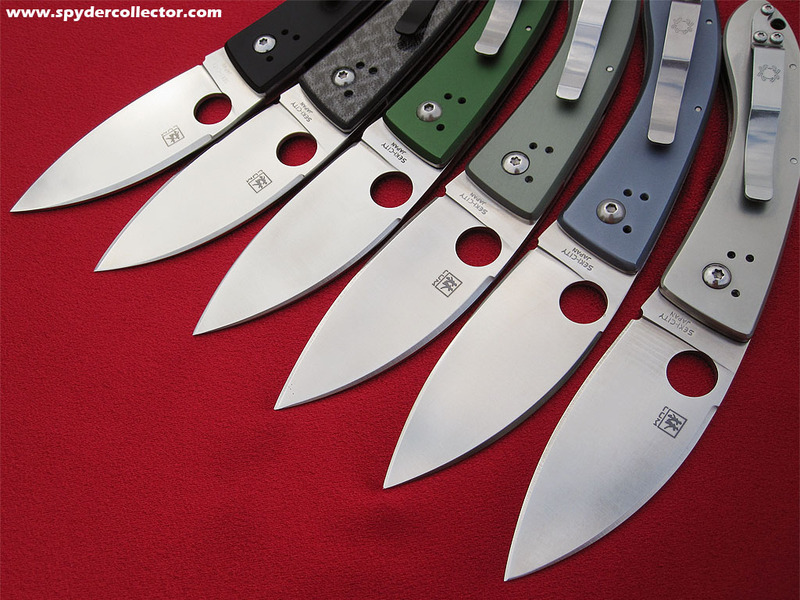 The Chinese folder looked very functional with its wide full flat ground blade, and pretty too. Together with the Li’l Temp it seemed a nice combination. And it most certainly is. I always preferred a drop point blade for general utility work. I still do, but the wharncliffe is catching up quickly in that department. Even with my newly acquired appreciation for the wharncliffe blade, the Chinese Folder still holds up with it low point and slight belly. The blade is perfect for my utility uses. The wide thin and flat ground blade cuts even when dull. The point is plenty sharp for cutting out articles and splinter removal. The opening hole is large, in the Military tradition, so even though this knife is a dedicated right-hander, us lefties can get around it. Left-handed carry and deployment (tip-up) is pretty good, and with practice it becomes second nature. 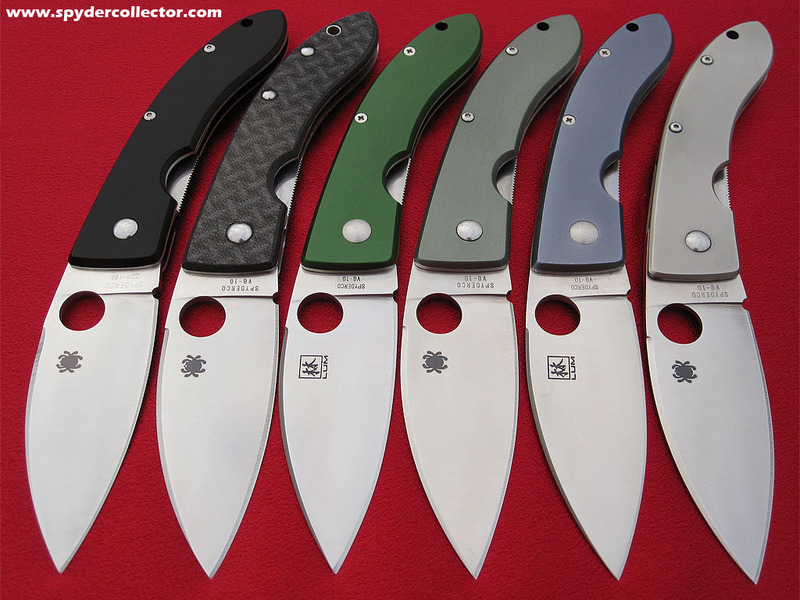 Edge holding is excellent with Spyderco’s VG-10. I usually sharpened this knife once a month, when I still carried it daily. Plus, the blade is just plain pretty! The wide subtle leaf shape with the Kanji logo (Lum = forest if my Japanese hasn’t become too rusty 😉 look carefully and you can recognize two little pine trees in the Kanji characters). The Chinese folder excels in the kitchen BTW, it’s my favorite kitchen folder. The point is fine enough to finish the meat that stressed supermarket butchers have no time for. I used to be one myself ;-). Sometimes I order a steak straight from the main piece in which it is packaged. On weekends I enjoy to perform the final cleaning (cutting away fleece and tendon) of my meat. The Chinese folder is a bit slippery in wet hands, but the blade is a great performer. Vegetables, potatoes and such are a piece of cake (to stay in culinary terms). The handle visually complements the blade shape very well. Aesthetically the handle and blade are a perfect union. Functionally, my only complaint is that the handle lacks the kind of grippiness you get with FRN or G10, and there’s no choil to stop your fingers sliding on the blade. In that same sense, I would prefer to add thumb serration on the spine of the blade, to add a little more traction for the user. But all these things would take away from the good looks of this piece. The almite is quite grippy at first, but the inside of a pocket changes that quickly. Handle lenght is pretty good, there’s plenty space for my average (glove size XL) sized hand, which makes up for the little grippiness issues mentioned above; plenty of leverage. Although not of the new styled compression lock style, this linerlock is plenty reliable and definitely on par with that of the Military for example. 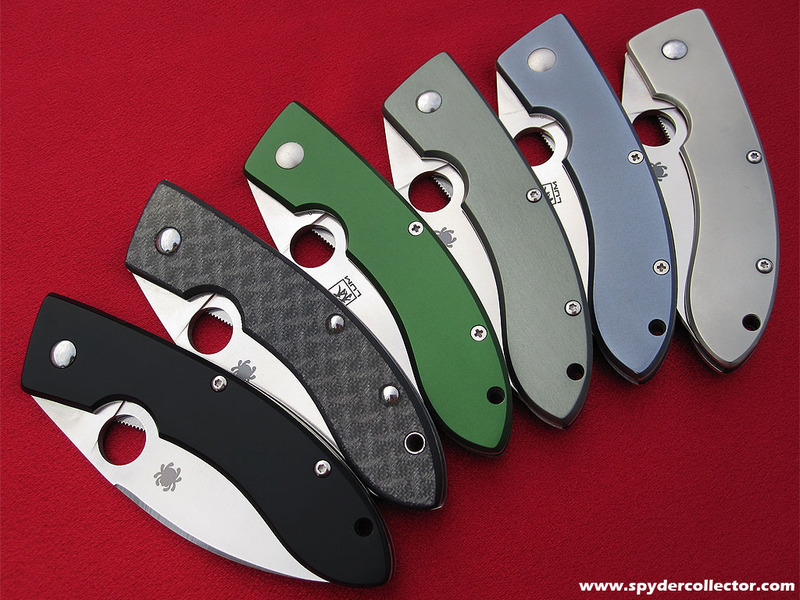 I cannot remember any case of lock failure being mentioned on both BladeForums.com or the Spyderco Forums. From the box, the lock was almost completely shifted to the end of the tang, leaving little room for wear and adjustment. The lock was very solid though, and in six months use I could not detect any further ‘travel’ of the locking bar. Still, it looked like a cosmetic blemish, so I ventured where few Spyderknuts dare to tred: I dissassembled the knife! Well…only partly. I found a thread where someone explained in great detail how you could adjust the eccentric pivot (like in the Military and this piece). Although you void the warranty, I managed to successfully adjust the locking bar so it engaged the tang just short of the middle, leaving ample room for future ‘travel’….which hasn’t happened since. So it wasn’t necessary, but easy enough to be fun to do. Furthermore, this kind of operation gives you a feeling of enhanced trust in your tools, “hey I can fix this thing if I have to”. The clip is of the old fashioned stamped steel variety and can be swiched around for tip-up or down carry. For a medium sized spydie like the Chinese Folder, I prefer tip-up carry IWB. I can just hook my indexfinger behind the pivot side of the closed folder and the knife pops in my hand, ready for opening. There’s just enough opening hole exposed on the clipsde, for us lefties to open the knife. I just wished the Viele had this feature; it’s just as pretty, but no way I could open that one left-handed. So Sal, if you’re reading this and were thinking of a reintroduction of the Viele (hey the Goddard and Calypso came back for a run! ), please make it a wee bit accessible for us lefties. Get this folder while supplies last, since it has been discontinued. If you’re in the market for a pretty all-utility folder, then this one is for you, especially if your right-handed. It’s pretty first and functional second, and that is not a bad thing. It’s looks add a pride of ownership and public use. If you’re planning to introduce the non-knife enthusiasts in your surroundings to a larger knife than say a Kiwi, Dragonfly or Jester, then this would be a good one. The perfect Chinese Folder? Perhaps switch the almite with G10 and use double liner so the lip could be reversed for left-handed use. Would that make it prettier though? I think not. This entry was posted on Sunday, July 4th, 2004 at 9:54 am and is filed under Collectibles. You can follow any responses to this entry through the RSS 2.0 feed. You can leave a response, or trackback from your own site.